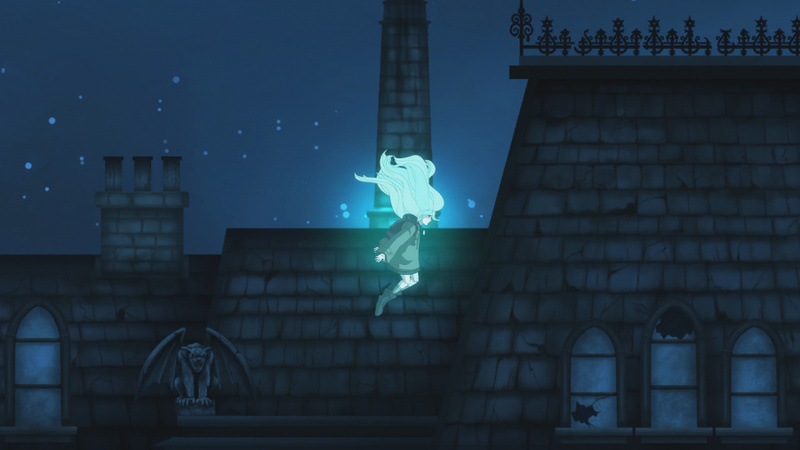 An adventure game needs a fitting atmosphere, and Whispering Willows sets its tone well. An undercurrent of desolation and vague unease runs through the grounds of the old mansion in which the game is set. It's a set piece worthy of exploration, but the act of doing so doesn't seem to share the same level of inspiration. Whispering Willow places the player in the shoes of Elena, a girl searching for her father at the above-mentioned historical estate. Dad had been hired as a groundskeeper there, but has since gone missing in a way one only can when they work alone at a big ol' creepy house of mystery. Big, creepy, and mysterious are all solid parts of the presentation here. The world is navigated in 2D, making the exploration of buildings feel a bit like peering into a decrepit dollhouse. Light plays from its sources, and neighboring rooms are often unviewable until Elena enters them. Atop it all plays a morose soundtrack with enough ambient noise thrown in now and then to make someone look up like a sucker every time and wonder if something's there. It's a good setup for creating a spooky mood without going into jumpscare territory. Not that a bit of a pop-up scare might not have been welcome now and then. There are certainly some dangers lurking for Elena in Whispering Willows, but they don't tend to be all that frightening. The majority of time is spent walking about in safety, and this is where the game's pace can begin to work against itself. Unless in an outside area Elena flat out refuses to run - even when there's something in a room to run from. Perhaps the developers wanted the player to take time to admire the construction, but this also means some trudging when it comes time to backtrack through certain areas. The game can also be slow on a technical level, with loading screens popping up whenever a door to a new area is entered. Most often it's a minor inconvenience, but there are a few areas where doors need to be entered one after another that can be aggravating. Heaven forbid if you get yourself lost in these areas, too. There's no map to help you out, so you might end up eating up some excessive loading screen time just to get back on track. This leaves some remaining elements for Whispering Willow's draw: the story, puzzles, and Elena's gift of spirit travel. The tale of the game is nicely composed and mostly told through notes and diary entries left about the grounds. It's a bit haphazard of a way to pick up on things, but everything is well written and all correspondence is easily accessible through the GamePad at any time. The subject of the story revolves around the desires of the mansion's original owner and his interactions with a Native American tribe on the land, but manages to feel respectful to both sides. The end of the story does feel somewhat anticlimactic, but is still worth going all the way through. 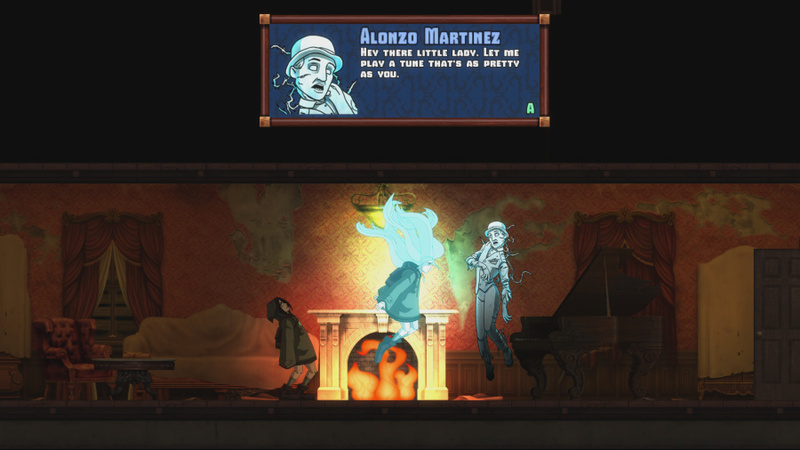 Some more background can be discovered through conversing with the ghostly residents of the mansion, which Elena can only see by making her spirit leave her body. By leaving her corporeal form behind, Elena's spirit is also capable of fitting through small spaces and possessing objects. It works somewhat like Ghost Trick although on a much simpler level, only ever flipping switches or causing objects to move. For what would seem the outstanding gimmick of the game, it feels like it would have more uses. Many of the puzzles rely on these little bits of spiritual manipulation, but not all. The puzzles as a whole are still relatively basic, however. 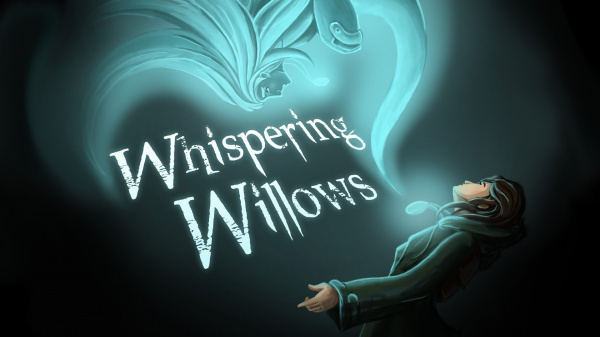 Whispering Willows has the foundation laid for a great adventure game, but is held back by some shortcomings. Yes, there's some of the slowness in walking and loading, but this can be forgivable by players who enjoy taking their time and drinking everything in. The biggest problem lies in how it feels there could be so much more to fill this world. 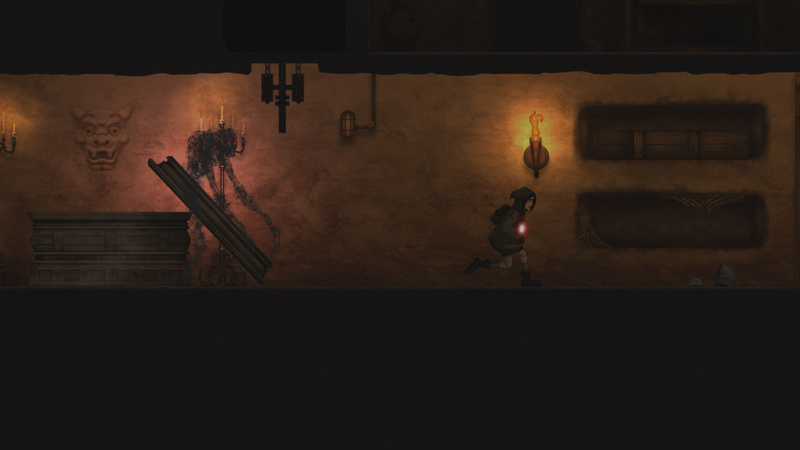 The game can be finished in about 3 hours, leaving a void that could have possibly been filled with deeper puzzles, deeper dialogues with the ghosts, and simply more to experience overall. What lies in this shallow grave may still be enjoyable, but let's hope a second effort comes that digs deeper. I'm still too curious to not pick this game up, I'll just wait for a sale. Yeah, the loading screens are annoying but I still enjoyed it, my review was a bit more positive than this one. It's more about the story, which is really rather decent, rather than the gameplay. Wasn't a huge fan of this when I played it - the art style's nice enough but the game's too slow with not enough interaction or exploration to justify the slow pace. If anyone fancies trying it out still, you can get it on key sites now for like £4 which is a much fairer price for a game is this quality. That was already my impression from miiverse comments, too short and nothing much to do. Too short is also my sensation after playing The Swapper, but that at least had few interesting puzzles. I backed the Kickstarter and played it on PC, but I ended up somewhat disappointed. I was hoping for more emphasis on horror, but there was nothing really scary or even that creepy about the game. I would adore for a translated version of the Snes Clock Tower game to be released in the West in some form. Or at least for someone to do a game in a similar style to that. That's what I had hoped this game would be. I have enjoyed the game...I would give it a 7! Agree with the review and with the price asked this game really feels more like a lazy attempt to steal money from players than a creative work (even if I'm positive this wasn't what the developers wanted).